As hypervisor features have become increasingly similar, the new vendor battleground is virtualization management software. Microsoft and VMware offer similar capabilities, and they are striving to make their products stand out by touting management tools and complimentary products. 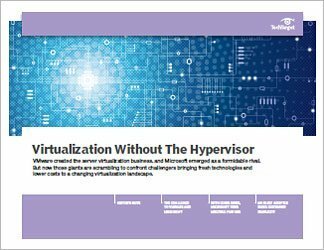 Soon, IT professionals won't spend time looking at unique features when they compare hypervisors; instead, they will be looking at how an organization can use the hypervisor to improve workflows throughout the data center. A virtualized environment that's functioning at high level will make use of monitoring tools, react appropriately to performance data and contain VM sprawl. Virtualization admins' top concern is no longer choosing a hypervisor -- it's choosing the right suite of tools that will help with overall virtualization management, improve VM performance, make capacity predictions, and enable self-service IT and rapid provisioning. This chapter explains the latest challenges of managing a virtualized infrastructure, with insight into particulars tools to improve virtualization and cloud management. Virtualization technology has changed the way servers are purchased and deployed, but effectively monitoring and managing these virtualized environments is no small challenge. More and more, IT infrastructure companies are looking beyond the hypervisor to help users solve virtualization management challenges and to assist them in operating virtualized and cloud environments in a cost-effective manner. For instance, tools that allow chargeback and showback can help a business to track which units are consuming particular resources and to tally the associated costs. Virtualization has been widely implemented, and its merits are well-established. But organizations realize that monitoring and managing a virtualized environment requires sophisticated tools that aid capacity planning, provisioning and configuration management. Major hypervisor vendors and IT infrastructure companies are working hard to differentiate their management tools from the competition. What Is all that virtualization performance data telling us? Admins are gaining better insight into server and VM performance data, but what do they do with it? Virtualization tools at one time were thought of only for their monitoring capabilities. Developments have since allowed these technologies to be reactive -- even predictive. Because keeping pace with these expanded capabilities is far from easy, we are beginning to see a push for tools that can use virtualization data in new ways. Admins, for instance, want reports that will show them exactly what adjustments to make to help improve performance. CloudPhysics and similar tools are designed to assist admins with the parsing of VM data, thereby enhancing performance, security and efficiency. This chapter outlines the best strategies for taking performance data and turning it into useful, actionable information. 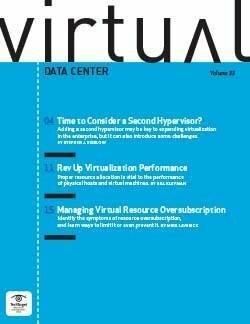 Virtualization has made allocating data center resources an easy process—perhaps too easy. Irresponsible virtual machine provisioning can gradually lead to the type of inefficiencies that virtualization set out to eliminate. VMs created for use in a particular project, for instance, need to be powered off when that project ends; otherwise, they’ll continue to consume network resources and storage. This unintended sprawl disrupts even the most carefully crafted virtualization capacity plans. To properly manage capacity, an organization needs to adopt effective practices to contain virtual machine sprawl. Virtualization has been widely implemented, and its merits are well-established. But organizations are coming to realize that they won’t derive the full benefit of virtualization if server resources are not properly provisioned. IT teams need the proper tools and strategies to optimize those virtual environments and avoid waste. A well-run data center will strive to limit virtual machine sprawl. To do so, an IT team needs to know how to assess its environment so that it can identify and fix problem areas. IT also will want to implement strategies that will prevent such sprawl from reoccurring. 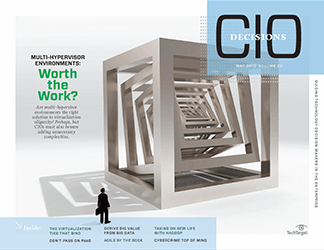 Multi-hypervisor environments: Worth the work?